Cheryl Suchors began writing at age six, when she wrote a play starring her sister and herself. She continued to write poetry until she took a detour through the business world for twenty years. She holds degrees from Harvard Business School and Smith College. Her fiction, poetry, and essays have appeared in City Book Review, Limestone, The Distillery, RE:AL, and HerSports, as well as in the anthology My Other Ex: Women’s True Stories of Losing and Leaving Friends. In her business career she coauthored the book Own Your Own Cable System. She lives in Cambridge, Massachusetts with her husband and a plethora of plants. She continues to hike every chance she gets, most recently in Poland and Canada. 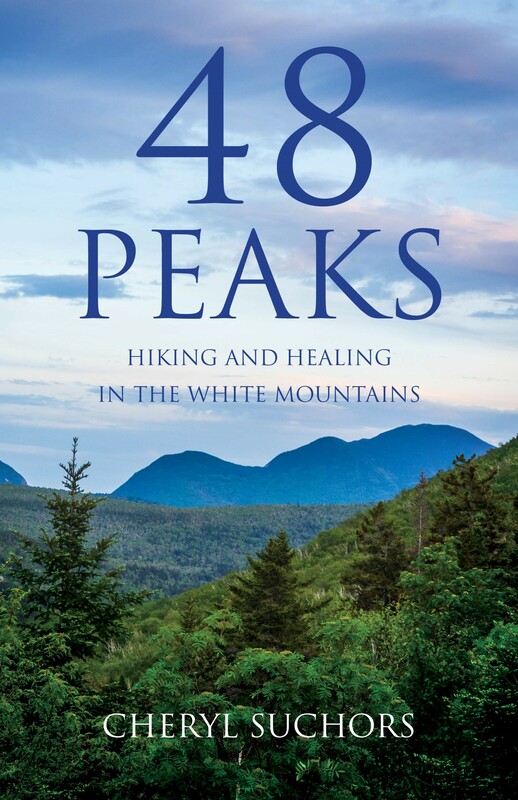 Floundering in her second career, the one she’s always wanted, forty-eight year old Cheryl Suchors resolves that, despite a fear of heights, her mid-life success depends on hiking the highest of the grueling White Mountains in New Hampshire. All forty-eight of them. She endures injuries, novice mistakes, and the heartbreaking loss of a best friend. When breast cancer threatens her own life, she seeks solace and recovery in the wild. Her quest takes ten years. Regardless of the need since childhood to feel successful and in control, climbing teaches her mastery isn’t enough and control is often an illusion. Connecting with friends and with nature, Suchors redefines success: she discovers a source of spiritual nourishment, spaces powerful enough to absorb her grief, and joy in the persistence of love and beauty. 48 Peaks inspires us to believe that, no matter what obstacles we face, we too can attain our summits.